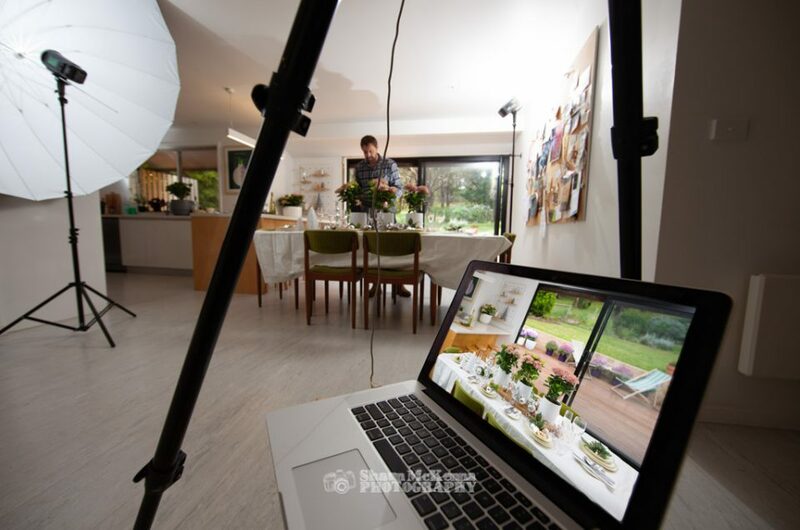 Working with Sue Allnutt and her team at Nuttshell Graphics on a book to celebrate the 100 year history of Warners Nurseries has been a wonderful and inspirational experience! The following article was featured in the The Weekly times recently. 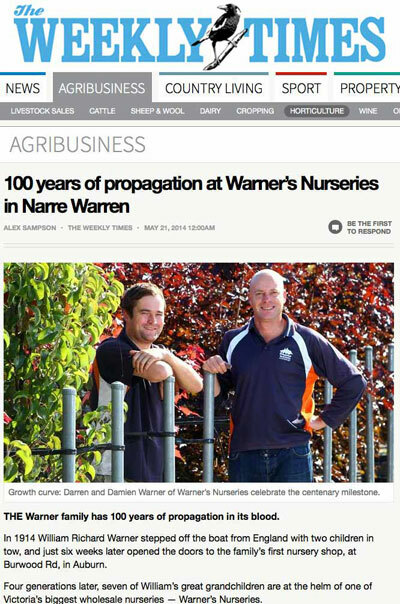 From humble beginnings, Warners Nurseries has grown and prospered through four generations to become one of Australia’s most successful wholesale nurseries. Despite changes in methodology over the years, Warners has maintained a consistent approach to providing the ultimate customer experience. 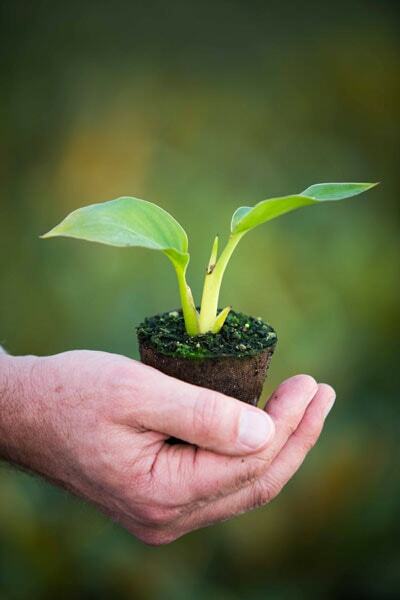 While their plant range has changed over the years, nursery production methods have ensured delivery of a premium product, every time. FROM its beginnings as a flower shop hole in the wall to its emergence as a nursery empire, Warners nursery has chalked up its century. 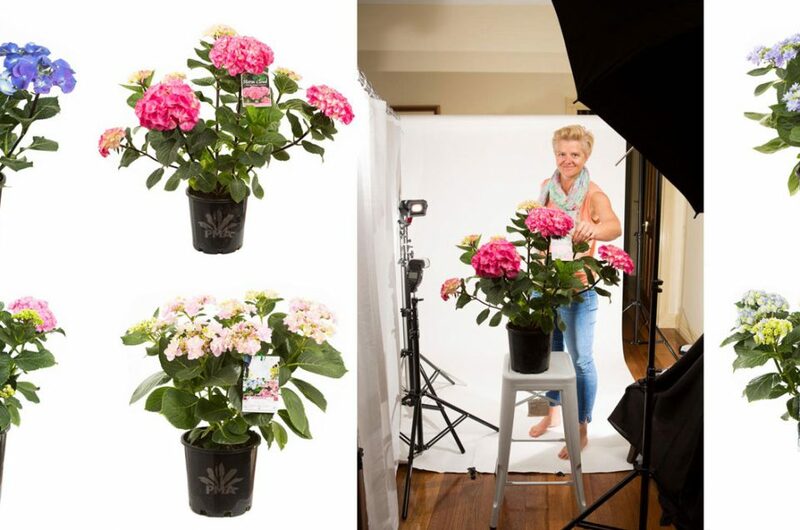 Working its way from the inner Melbourne suburb of Auburn to Narre Warren, via Camberwell, Burwood and Rowville, the business has been supplying plants for Melbourne gardens since 1914. It all started when William Richard Warner stepped off a boat from England and ­decided to sell flowers. 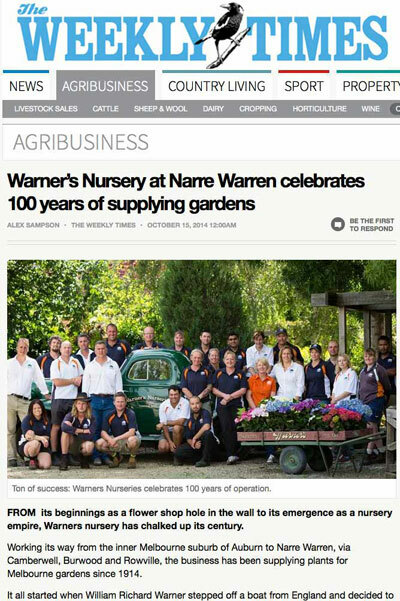 Four generations later the nursery business is run by Warner siblings and cousins Michael, Michael, Kelly, Darren, Matt, Bill and Damien, and in its centenary year they rebranded the business from Warner’s Nurseries to simply Warners, updating its logo. The new website and book have been launched. Also in the pipeline is the development of a 3.2ha block next to its 15ha Narre Warren North site. I wish Warners Nurseries all the very best for the next 100 years. About 35 per cent of the 30 staff have been with the nursery for more than 15 years — sales manager Andrew Smith and advanced production super Mark Foy have been on board for 25 years.